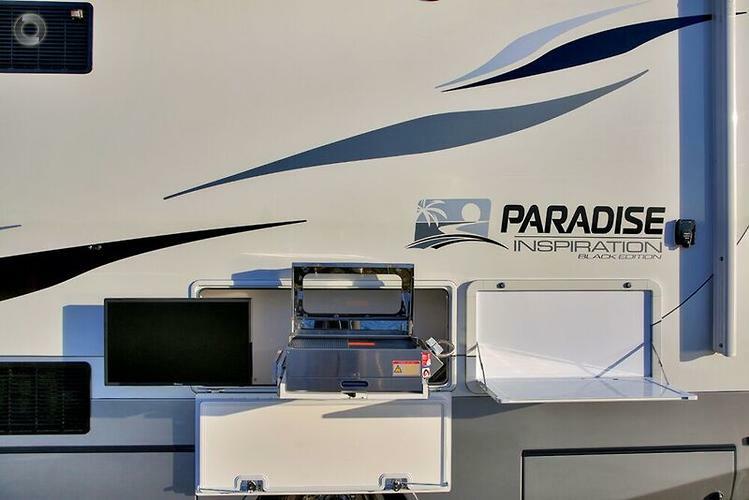 Available for delivery, unused due to ill health 2018 Paradise Inspiration Black Edition, build no 940 only 500km's. 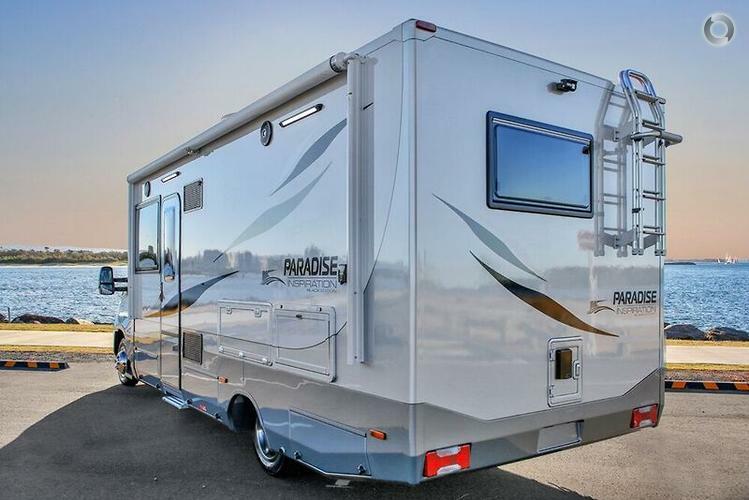 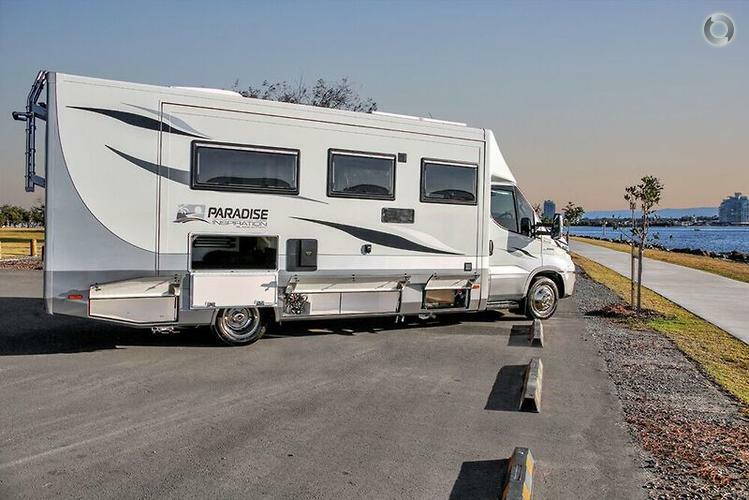 This beautifully presented motor home is 26ft long, it has a tare (wet) weight of 4400kg and a GVM 5200 giving you 800kg of payload available, 3.0 metres high, 2.5 metres wide and a massive 4.2-metre-long slide-out on the driver’s side. 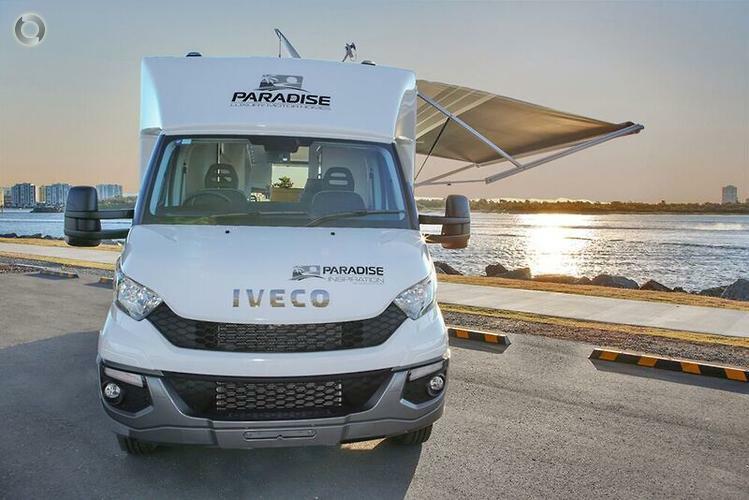 Cab Chassis: Iveco Daily 50C210 with a comprehensive 3 year/200,000 km warranty with 24/7 road side assistance, Air bag rear suspension, Independent front suspension, car like handling, black alloy side steps, 3500kg towing, 8 speed automatic gearbox, 205hp 4cyl 3.0 Litre twin turbo diesel, electric handbrake, ABS and electronic stability, hill start assist, mechanically-suspended seats with swivels and heaters, 4-speaker audio system with CD/mp3 player; USB drive via USB input on the dashboard, AUX input; Bluetooth connectivity and radio and phone controls on the steering wheel. 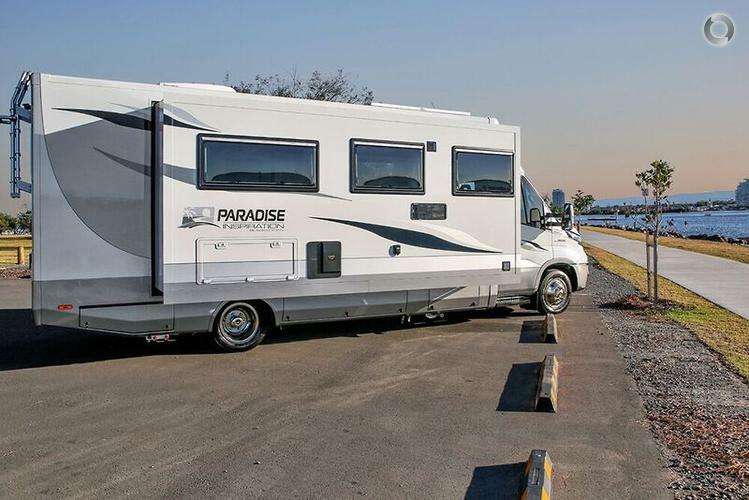 The Black Edition comes with Paradise's award winning 5-year manufacturer’s warranty and is the flagship of the Inspiration range with extra added features that makes this model the most sought-after motor home available in Australia. 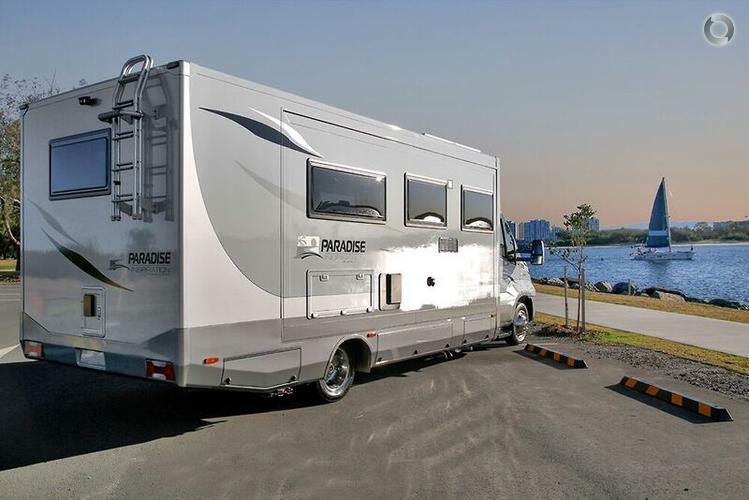 Driven on a light Rigid licence this motor home is custom painted in Black editions 3 tone Du-Pont 2 Pac paint, Dometic Seitz windows with fly wire and block out blinds along with Venetian blinds and hand crafted window pelmets, 8 water resistant and dust proof external bin lockers, 2 x 4kg gas bottles, external gas bayonet, dual Rear cameras, electric side mount awning, turbo 400 hatches in the bathroom and living, Truma roof mount air con, 300 watts of solar, 200 a/h lithium battery upgrade, 40 amp enerdrive charger, enerdrive DC2DC smart charger, 218 Litre 12v/240v compressor fridge, diesel in floor heating, upholstery in custom 100% NSW leather, pull out table above 2 seater lounge for additional bench space, high gloss solid timber edges, permanent island queen pocket spring/memory foam bed with under bed storage and external access, 3kg Dometic front loader washing machine, 127 litres fresh water with the option of more, 95 litres grey water, all cabinetry are fitted with cab key enabled locking system. 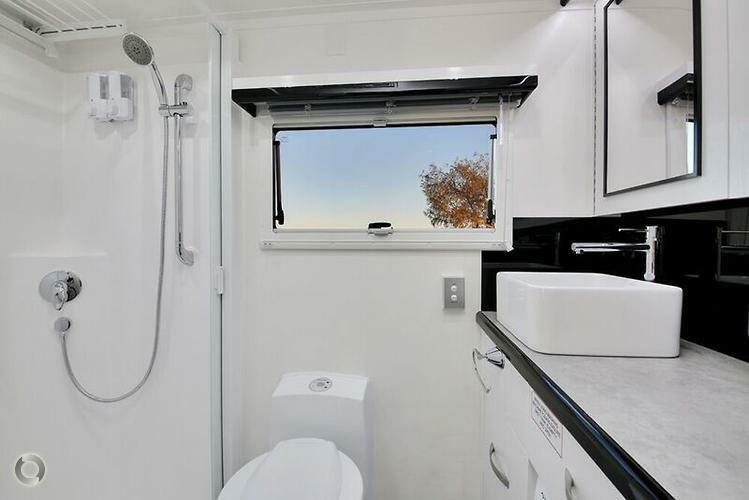 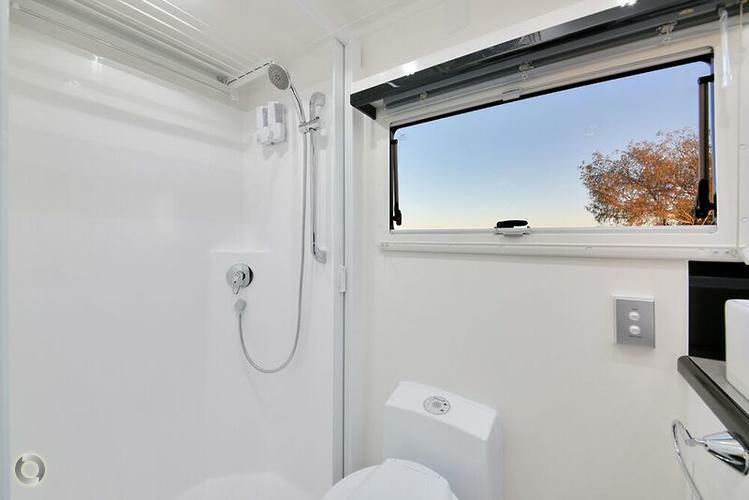 This motor home has a massive floor plan with a comfortable and roomy ensuite with large separate shower and separate china bowl cassette toilet. 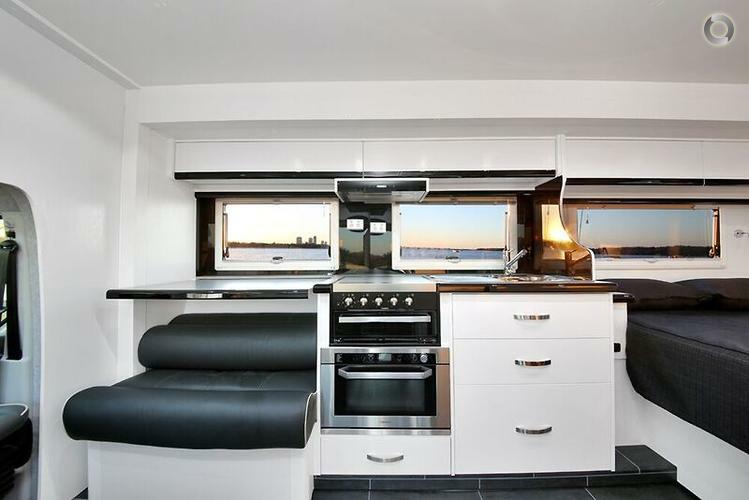 Factory options fitted Black edition upgrade, Alloy cab side steps, Nespresso coffee hub, Zenolite splash back. 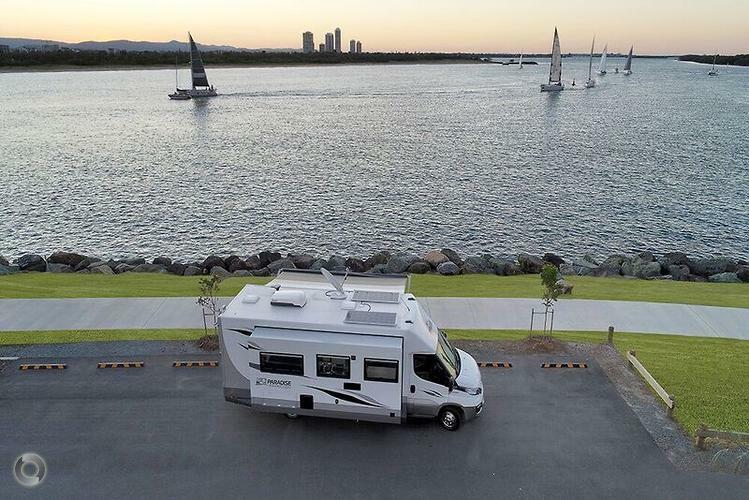 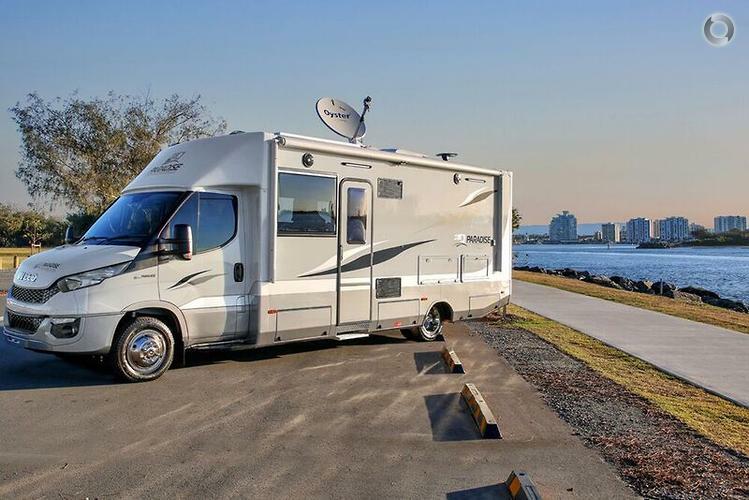 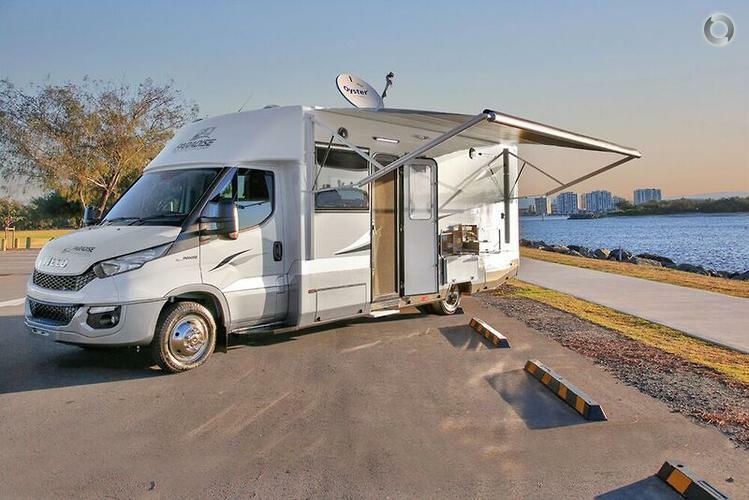 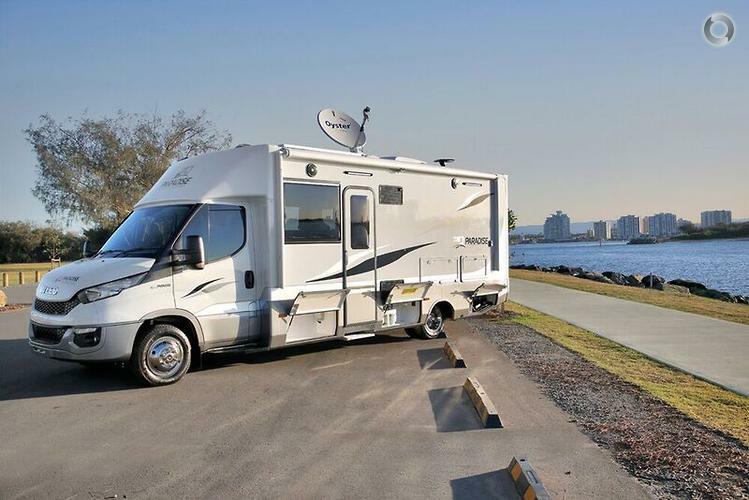 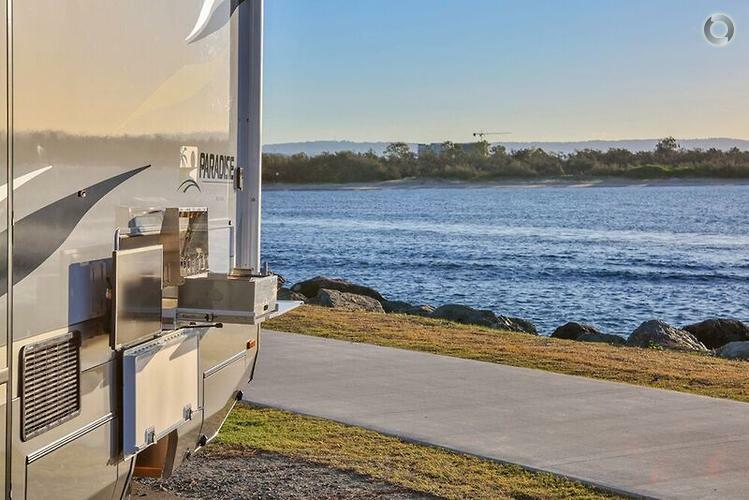 This AS NEW luxury motor home has also been fitted with the following options, so nothing is left to do when you begin your trip around Australia, outside BBQ, Levelling Jacks, Satellite TV, Dometic tech 29 generator, 200 ah enerdrive lithium battery and Outside TV. 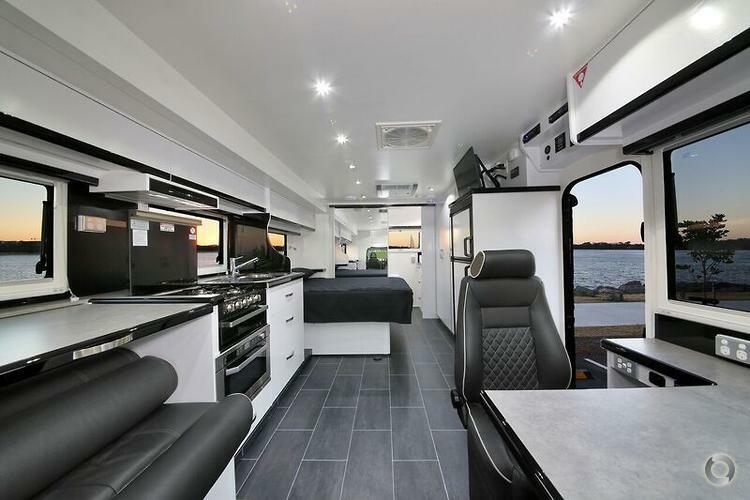 Available for delivery, unused due to ill health 2018 Paradise Inspiration Black Edition, build no 940 only 500km's. 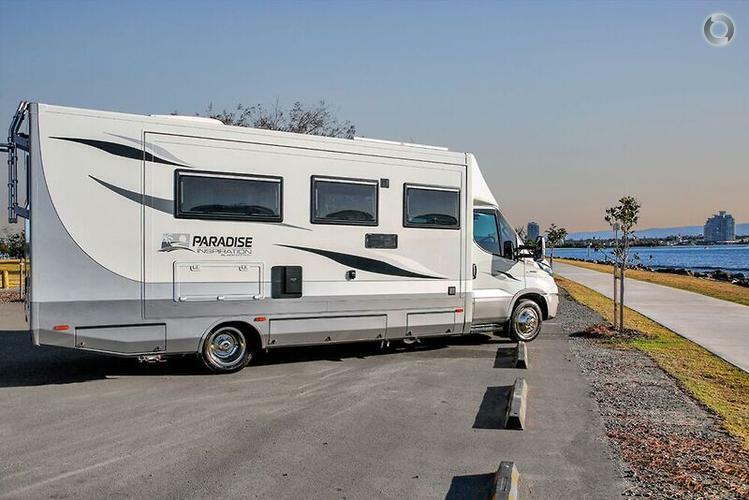 This beautifully presented motor home is 26ft long, it has a tare (wet) weight of 4400kg and a GVM 5200 giving you 800kg of payload available, 3.0 metres high, 2.5 metres wide and a massive 4.2-metre-long slide-out on the driver’s side. 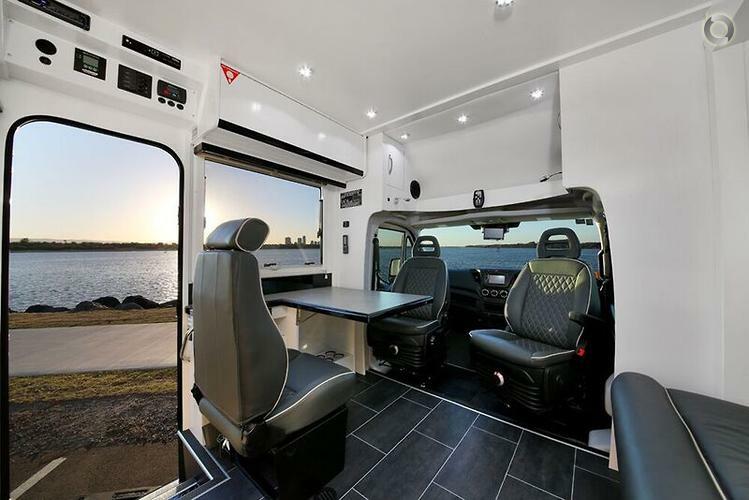 Cab Chassis: Iveco Daily 50C210 with a comprehensive 3 year/200,000 km warranty with 24/7 road side assistance, Air bag rear suspension, Independent front suspension, car like handling, black alloy side steps, 3500kg towing, 8 speed automatic gearbox, 205hp 4cyl 3.0 Litre twin turbo diesel, electric handbrake, ABS and electronic stability, hill start assist, mechanically-suspended seats with swivels and heaters, 4-speaker audio system with CD/mp3 player; USB drive via USB input on the dashboard, AUX input; Bluetooth connectivity and radio and phone controls on the steering wheel. 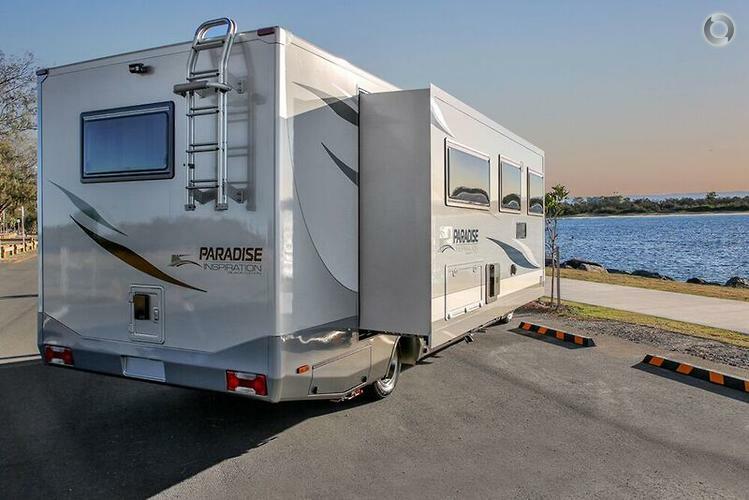 The Black Edition comes with Paradise's award winning 5-year manufacturer’s warranty and is the flagship of the Inspiration range with extra added features that makes this model the most sought-after motor home available in Australia. 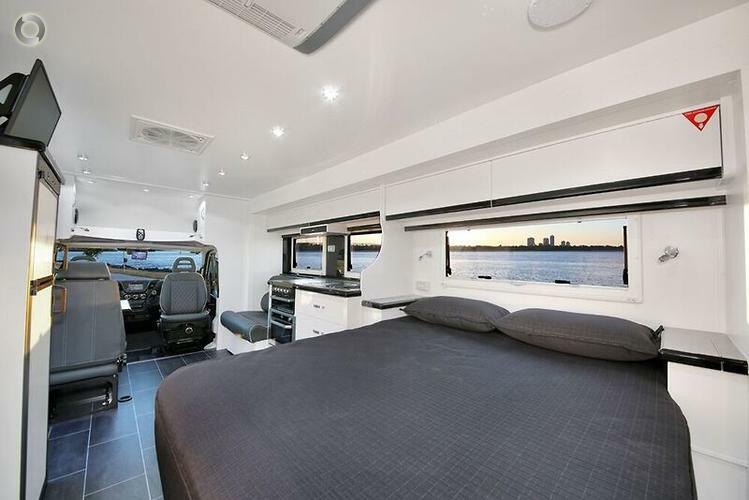 Driven on a light Rigid licence this motor home is custom painted in Black editions 3 tone Du-Pont 2 Pac paint, Dometic Seitz windows with fly wire and block out blinds along with Venetian blinds and hand crafted window pelmets, 8 water resistant and dust proof external bin lockers, 2 x 4kg gas bottles, external gas bayonet, dual Rear cameras, electric side mount awning, turbo 400 hatches in the bathroom and living, Truma roof mount air con, 300 watts of solar, 200 a/h lithium battery upgrade, 40 amp enerdrive charger, enerdrive DC2DC smart charger, 218 Litre 12v/240v compressor fridge, diesel in floor heating, upholstery in custom 100% NSW leather, pull out table above 2 seater lounge for additional bench space, high gloss solid timber edges, permanent island queen pocket spring/memory foam bed with under bed storage and external access, 3kg Dometic front loader washing machine, 127 litres fresh water with the option of more, 95 litres grey water, all cabinetry are fitted with cab key enabled locking system. 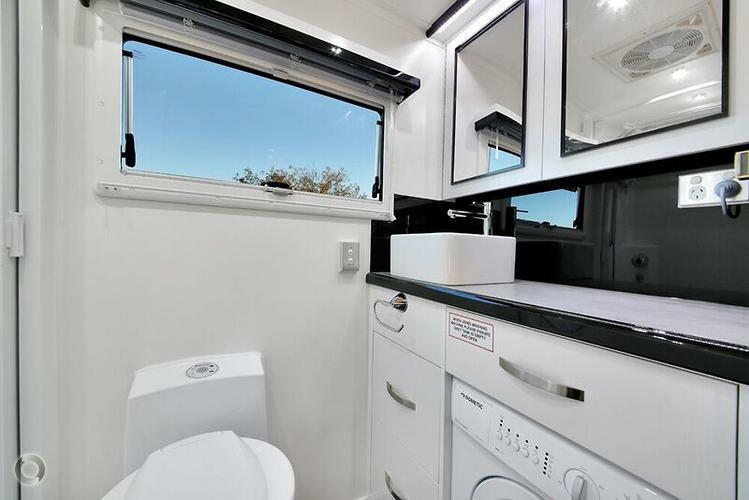 This motor home has a massive floor plan with a comfortable and roomy ensuite with large separate shower and separate china bowl cassette toilet. 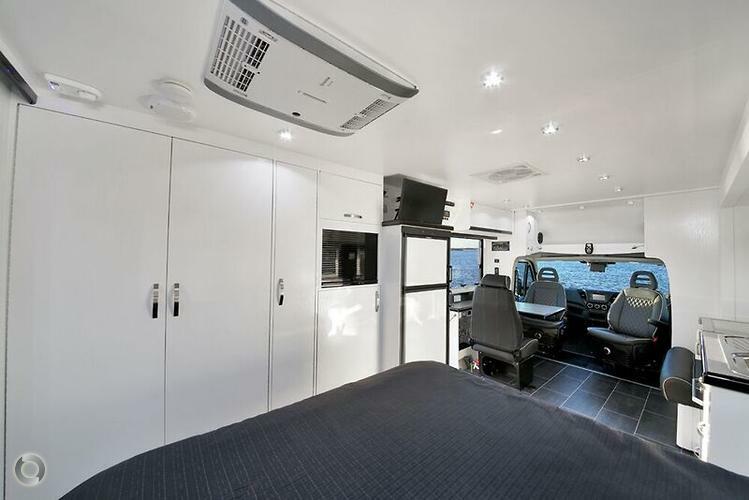 Factory options fitted Black edition upgrade, Alloy cab side steps, Nespresso coffee hub, Zenolite splash back. 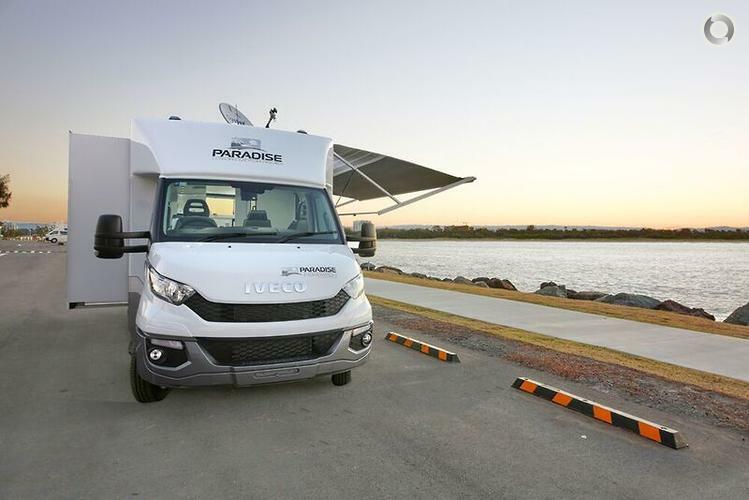 This AS NEW luxury motor home has also been fitted with the following options, so nothing is left to do when you begin your trip around Australia, outside BBQ, Levelling Jacks, Satellite TV, Dometic tech 29 generator, 200 ah enerdrive lithium battery and Outside TV.